Liminality is a concept album that explores the quality of ambiguity or disorientation that occurs in the middle stage of rituals, when a participant is not what they were, and is not yet what they will become. The music is made up exclusively of sounds recorded by the composer and has been mixed into a seamless 40min ambient musical experience, which is at once symphonic in scope and beautiful to the ear. The album is based on the previously released single, Liminal I-IV, which was written for an installation created in collaboration with artist and graphic designer Tonya Meyrick that premiered at the Salamanca Arts Centre in Hobart during late 2011. 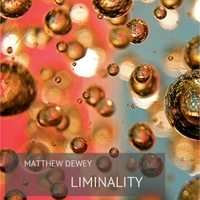 Liminality the album is a cathartic exploration of the themes laid out in Liminal I-IV.